Large enough for 50 burgers or hot dogs. Great for steaks and chops too. $30 cleaning fee is charged at time of rental and refunded if grill is returned clean. NOTE: Ours has lid, unlike picture. 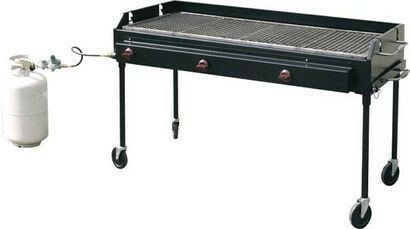 Size: Cooking Surface 22" X 57"
Price includes full 40lb propane tank for proper pressure.